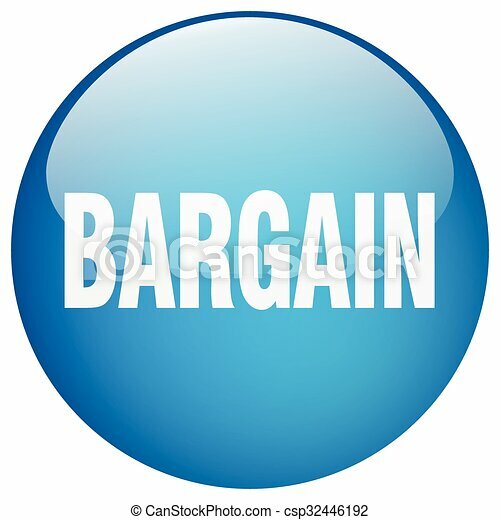 Bargain blue round gel isolated push button. Sign up glossy blue button. Vector blue round sticker. Metallic icon. Isolated on white.